Training Pitch: We’re excited to tell you that the pitch at Bradford Grammar School (BGS) is getting resurfaced, along with improvements to other areas of the sports facilities. Whilst this is great news for the future, it does mean we have to relocate to a new venue until it is completed. As you may know, hockey surfaces are quite rare and we have contacted all the venues with hockey pitches for availability for our training. We have weighed up the pros and cons for each and have decided as a short term measure, we are moving our Mini Bee training to: Beckfoot School, Wagon Lane, Bingley BD16 1EE on Tuesday evenings, 6:00pm to 7:00pm for all junior age groups. We appreciate a change of venue, date, time and move on to 3G surface is far from ideal, but this was our best option when looking at what was available in the short term. Please can you let us know ASAP if your Mini Bee will be able to attend or not. Don’t worry if your Mini Bee isn’t able to attend every week, they will still be part of the Bees’ family and will be considered for the tournaments. 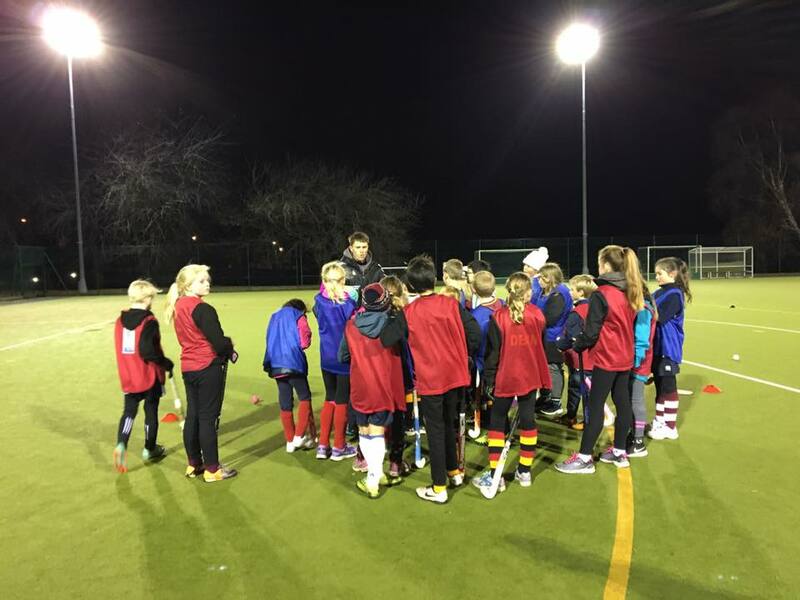 For those older Mini Bees (year 8 upwards) we are moving senior training to Ben Rhydding Hockey Club on a Monday night, starting 3rd September. Once BGS is available we will be returning to our usual training night and times; we are hoping this will be in the new year but are still awaiting timings from BGS. Coaching: It is with mixed emotion that we inform you that Max will be leaving our club. He has secured a job as Director of Hockey at Giggleswick School. This is fantastic news for him and we offer him our congratulations, though clearly he will be missed by our Mini Bees and coaches. Luckily at Bees we have a small but enthusiastic number of coaches and we will continue to provide exciting hockey for our Mini Bees. In the short term, with the bringing together of all of our age groups, we will be asking for support with training. Don’t worry, you don’t actually need to know how to play hockey, though, you also might get the bug and decide to join our senior teams! If you feel you can get involved and support the training, whether it be a quick warm up game, doing the rota, help with goalkeepers or with a stick and ball, please can you let us know so we can discuss it with you further and get our plans in place. Thank you for being part of our Bees family, we may have changes this season but will still aim to deliver fun and engaging training and to keep our minis playing hockey.